GARDEN CITY, N.Y. — Former MLB pitcher, David Cone, is scheduled to appear on Saturday June 18, 2016 to meet and greet fans where he will sign autographs and memorabilia at The “Perfect Show” autograph signing event. 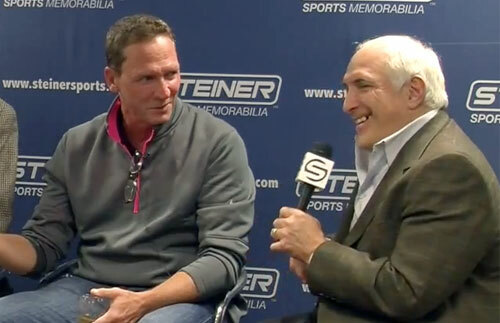 David Cone will be there from 10:00 a.m. – 5:00 p.m. The event will take place at Adelphi University, 1 South Ave., Garden City, NY 11530. For more information, click here. David Cone is a retired MLB pitcher who played for the Kansas City Royals, New York Mets, Toronto Blue Jays, New York Yankees and the Boston Red Sox. During his 17-year baseball career, he pitched from 1986–2003 for five different teams: Kansas City Royals (1986), New York Mets (1987–1992), Toronto Blue Jays (1992), Kansas City Royals (1993–1994), Toronto Blue Jays (1995), New York Yankees (1995–2000), Boston Red Sox (2001) and New York Mets (2003). Cone pitched the sixteenth perfect game in baseball history. He also set the MLB record for most years between 20-win seasons. Sports Speakers 360 is a booking agent for pro athletes. If you would like to book David Cone for a speaking engagement, appearance or endorsement, contact a David Cone booking agent for fees at 1.855.303.5450.